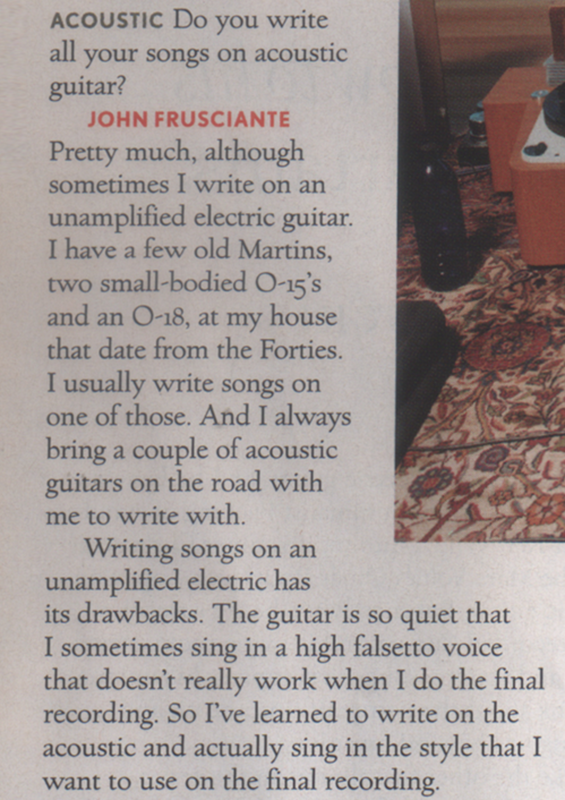 In this scan from the magazine Guitar World Acoustic (USA), April/May 2005 issue, Frusciante is asked, "Do you write all your songs on acoustic guitar?" He confirms that he owns a 1940s Martin 0-18: > FRUSCIANTE: "Pretty much, although sometimes I write on an unamplified electric guitar. I have a few old Martins, two small-bodied 0-15's and an 0-18, at my house that date from the Forties. I usually write songs on one of those. And I always bring a couple of acoustic guitars on the road with me to write with. Writing songs on an unamplified electric has its drawbacks. The guitar is so quiet that I sometimes sing in a high falsetto voice that doesn't really work when I do the final recording. So I've learned to write on the acoustic and actually sing in the style that I want to use on the final recording." 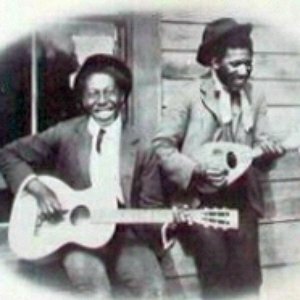 Wesley can be seen in this image playing a Martin 0-18 Acoustic Guitar.